You must make reservations at least 5 minutes in advance of the time at Johnny's Cafe. NJ Transit Bus 505 Stops at the corner of Washington Ave and Ventnor Ave.
Johnny's Cafe and Martini Bar offers many options for your catering needs. Our new room and bar is perfect for that special function. We cater off site too and we will accommodate any special menu requests. Check our website for the different packages that are offered. 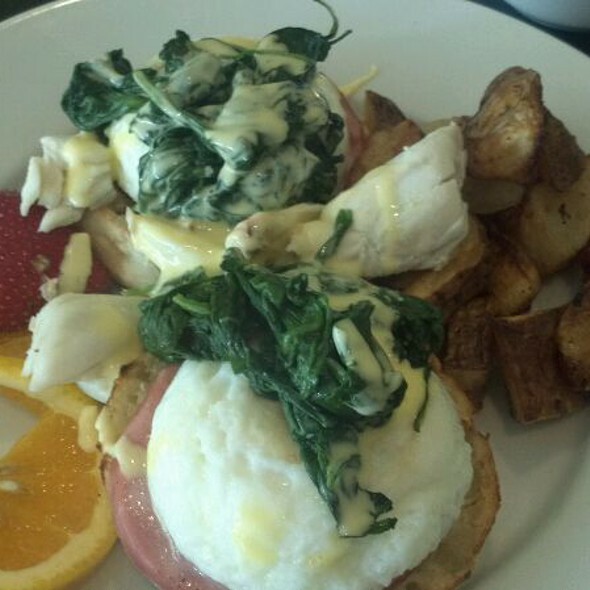 Plan your next special event at Johnny's Cafe. 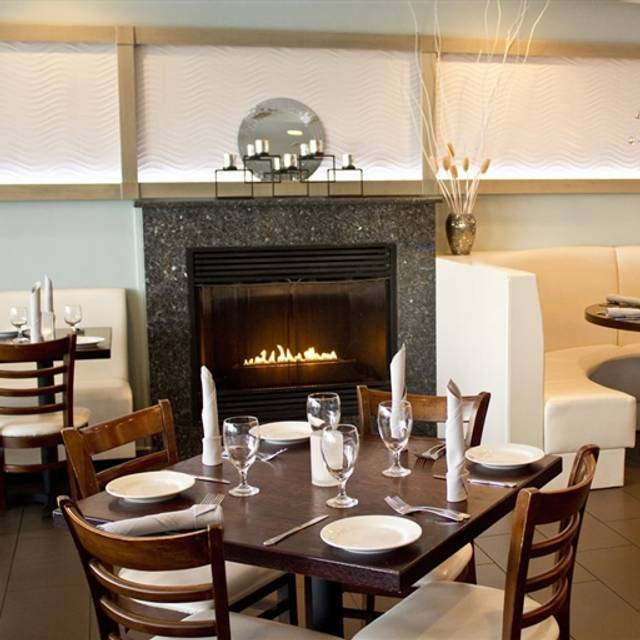 We have a beautiful back room which includes a bar and fireplace. Perfect for your next birthday, Wedding, or Reception. Call for more details. 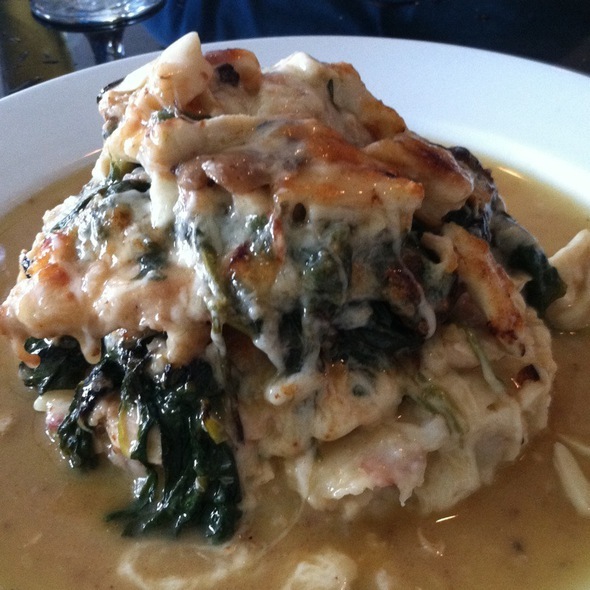 Johnny's Cafe and Martini Bar brings the finest Italian Cuisine and creative seafood dishes to Margate, NJ. 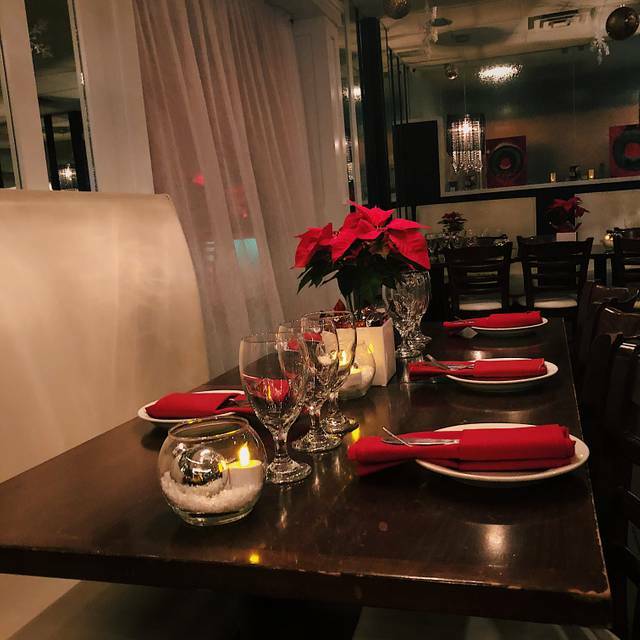 Over the last few years Johnny's has evolved from a small cafe to being one of the most sought out restaurants and martini bars on the Jersey Shore The atmosphere is warm and friendly and the seasoned service staff will make you know that you belong. 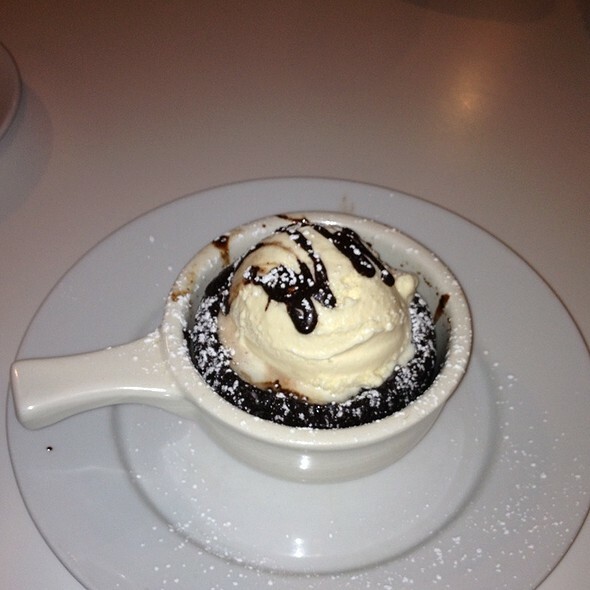 Johnny's is known for his dessert creations as well as his family's recipe homemade Meatballs, which are the finest you can have. Johnny's is open 7 days a week for Breakfast, Lunch, Dinner, Late Night and Cocktails. We would love to see you. Everyone was great and Johnny even came out and welcomed us himself, wonderful night! I always have a great meal at Johnny’s and the service was good. However, I thought they would have had a better menu for Restaurant Week. Went during Restaurant Week. Salads nothing special -- a single tomato wedge, a single slice of cucumber, and a tiny bit of red onion on a large bed of fresh greens or the house salad; VERY lightly dressed Caesar salad, had to hunt for a hint of cheese. Bronzino was very good, but be ready for the WHOLE fish, head and all. 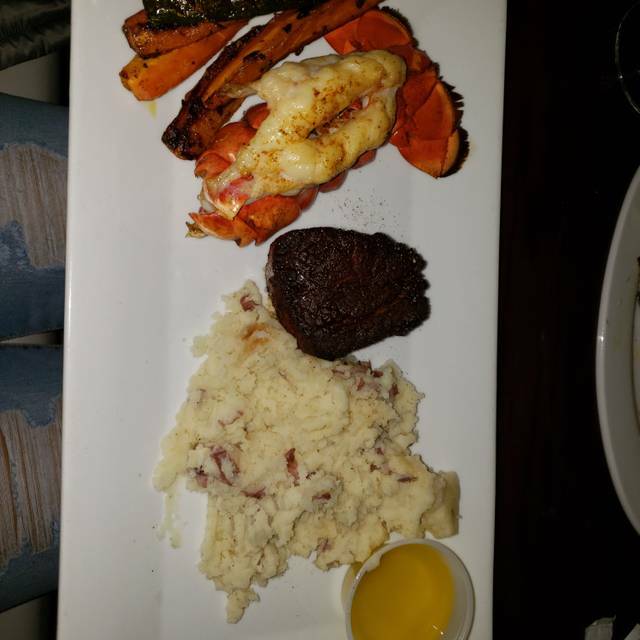 Surf & Turf was fine, steak rare as requested, lobster tail small but good. Roasted vegetables were more like a garnish than a side dish on both entrees. Dessert was a good/fancy house-made chocolate cake. Our biggest gripe was that we chose to seat ourselves in what we thought would be a quiet corner (the restaurant was practically empty that Monday night), and it turned out to be "Paint Night" in the room next door. Not sure exactly what that was, but it appeared to be a party, maybe a bridesmaids function, with pretty loud music (completely different from what was playing in the dining room) and party noise right in our ears. When we commented to our server, she pretty much shrugged and said "Paint Night" didn't usually happen on Monday nights.... and that was that. So I felt like I was in the middle of a subway station noise-wise, and there was almost nobody else there in the restaurant. Weird. Food was fine, service was fine, but we probably wouldn't go back just because of the noise experience. This was my first time here, tried it due to it being Restaurant Week. The food was delish and our server was very sweet and attentive. I would definitely recommend Johnny's Cafe. We dined at Johnny's in January, and it was not what it used to be. At that time, no one was dining or sitting at the bar. We asked for a glass of cabernet, and there was none. But we decided to go again this past Saturday night as the food has always been good. We were glad we returned. There were several diners in both dining rooms and many at the bar. There were a few new menu items especially some interesting new apps. My husband's cabernet was wonderful, and my cosmos were delicious. We thoroughly enjoyed our dinners which were prepared very well. My husband's stuffed veal chop was top notch. We will definitely be back to enjoy another great dinner. If you haven't been to Johnny's lately. Make plans to go. You will not be disappointed. Service was good...Ordered Jonhnny's veal with crab meat & mushrooms...Crab meat and mushrooms, sauce and mashed potatoes were good but veal was not tender..Would probably try again but our friends are foodies and I don't think they would like this restaurant. The place was very nice! The service was good but slow for an off season night with not many people. Food was not good enough to return. 4 dinners, 2 very good, 2 mediocre. Go with a chicken entree. Went there for Christmas Eve Dinner. Best in Margate, bar none! Excellent Thanksgiving Dinner. I’ll never cook a turkey again! It was delicious and relaxing—our new family tradition! Food was superb. Great staff that really made us feel valued as customers. Wait staff couldn’t do enough for us. The kitchen ran out of the special artichoke appetizer, even though it was offered to us, & 1/2 of the mixed vegetable side, leaving me with only three carrots. I had to ask for more carrots, which the waitress did supply. How was this possible when we were seated at 6:00 PM & the restaurant was close to empty. My friend's, close to $50.00 veal chop, was very tough & my flounder Franchise was fishy tasting. room again unless the standards are raised. As usual service and ambience excellent. Food always good. Will be back. Out for a spur of the moment dinner with friends. We had the clams casino which were delicious, at the bar. My husband had double Pork Chop & our friends had the Bronzini fish along with delicious pasta, which was quite good. a bit pricey for what you got. Potions are reasonably small. however, service is good and fast. We love going to Johnny's. We knew it would be busy over Labor Day weekend. Food was superb as usual. Our server though was not as good as others we have had. Seemed aloof and not interested in us. She never came to check on our apps or meal after being served, and never asked us if we would like another drink. Our drinks were empty for 15 min and not once did she ask if we wanted another, or something else. As we were on the path to the kitchen, she had to pass us quite a bit. Overall a nice dinner but not as good as we have experienced in the past. Will certainly be back, just not on a crowded summer holiday weekend. Good experience! Very noisy in the bar area! Most of the good staff has left. Only GG and Shannon are left. The new staff is clueless and lazy. They are on their cell phones and taking selfies. Excellent service and food as always. I was disappointed in the lobster tail that was slightly dry. We were seated near the bar & the bartender had a voice that carried. Given the overall ambience, she needs to learn how to watch out for being too loud. We went on a Friday evening. We were led through the first room to a table in the second room - the noise volume was significantly louder, so we asked, and were reseated in the first room, which was much, much better. Once reseated, we had a great time - the service was great - and the food was wonderful. 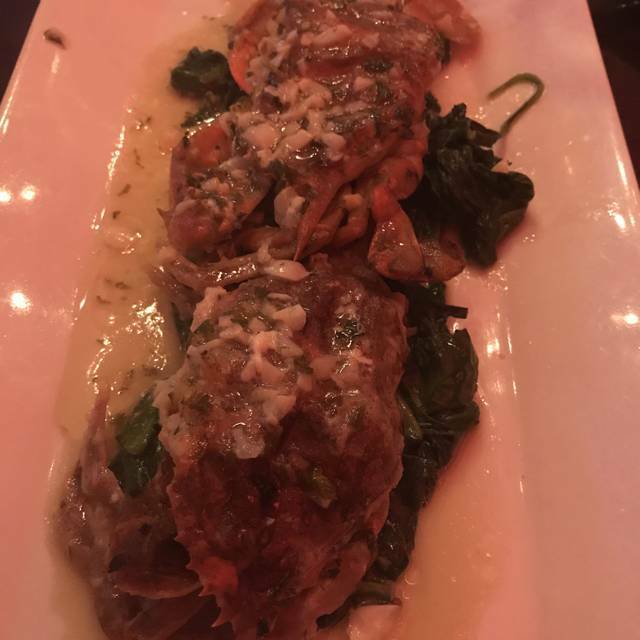 The sautéed soft shell crabs on a bed of spinach, in particular, were delicious. 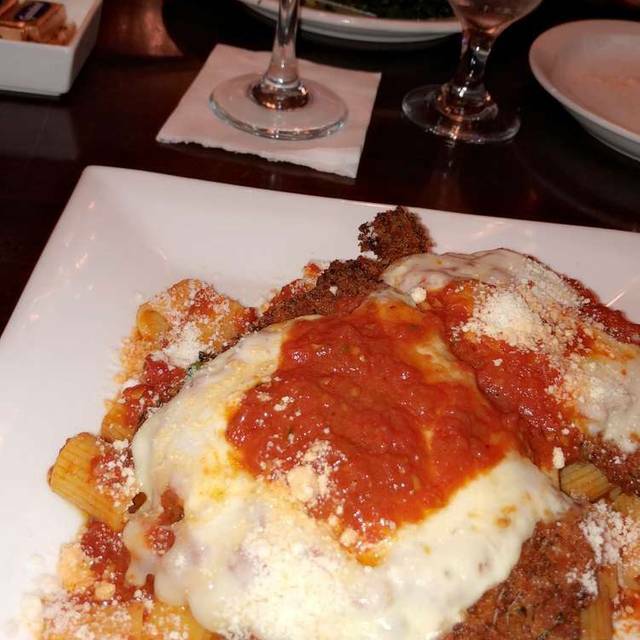 Also, the pasta bolognese got a great review from my friend. Tom, our waiter, was great - he gave really good service, especially for a very busy Friday night. Also, kudos to the busboy who kept our water glasses filled! Went late on a week night so not hard to get in. Service was perfect. Food was delicious and plentiful. Will definitely go again but we know if a busy weekend may not be as special. My boyfriend is extremely on his meatballs, pasta and gravy. You nailed it. The food and the service were really good. The only downside was the loss of their parking lot so we had to find a parking spot and that was not an easy task at the height of summer season! It will be much easier after the summer crowds leave! Shore restaurant in summertime so can expect things to get a little loud and servers to be busy. Bus staff was excellent and hustling all night. Very busy, prime dinner time but we were immediately shown to our table. Food and service were excellent. It was a bit loud. We were only 2 people, but feel like it would have been hard to hear if we were four. Food great. Service great. Waaaaaaay too loud! Could not hear person next to you. Won’t go back for that reason. Good food, attentive waiter, good but expensive drinks, terrible parking situation.